It's a new beginning for the podcast - Season 8 starts today! Matt and Erin have a bit of random conversation at the beginning like usual. But they eventually provide a summary of the recent new of an organophosphate, chlorpyrifos. The EPA has been dealing with a petition to revoke tolerances for this widely-used insecticide. The EPA will not move forward with restricting chlorpyrifos in any crop; this could be important as farmers make product choices for 2017. Erin wrote a recent ICM Blog about it. Matt shared updates about his recent travels to the S1055 Soybean Entomology Working Group meeting in Memphis where he compares soybean production in the North Central Region to the South. Surprise - it's a lot different! Erin wraps up by providing overwintering mortality predictions for bean leaf beetle. 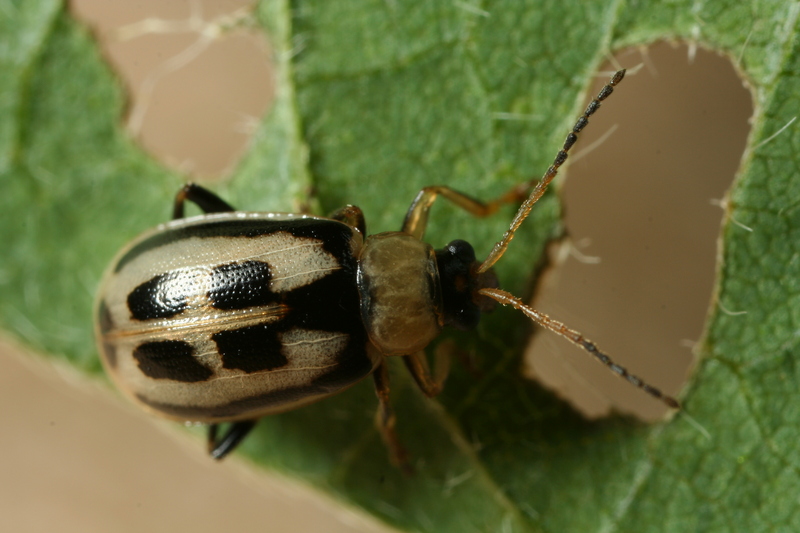 The 2016-2017 winter was moderate and about half of the beetles are expected to survive. Read more in her recent ICM News article. Bean leaf beetle adult. Photo by Winston Beck, ISU. It's been a few weeks, but Matt and Erin have a new episode out today! Erin starts off by providing a statewide update on soybean pest populations in August. Good news is that most fields had low pest pressure in 2018. Matt shares his impressions of a recent court ruling that will ban chlorpyrifos use in the U.S. The episode title is a play off of Warren Zevon's song, "Lawyers, Guns and Money" from 1978.